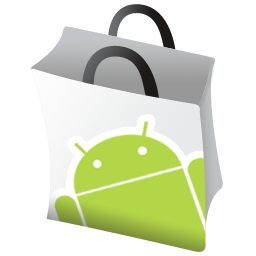 Android Market Developer Distribution Agreement Updated To Allow Carrier Billing. Paid Apps In More International Markets Soon? Please note that we have updated the Android Market Developer Distribution Agreement (DDA). This is in preparation for some work we’re doing on introducing new payment options, which we think developers will like. These new terms apply immediately to anyone joining Android Market as a new publisher. Existing publishers have been notified of this change via email; they have up to 30 days to sign into the Android Market developer console to accept the new terms. The main thing to take away from this is “new payment options.” The implication there is clear: carrier billing. The fact that carriers can now become payment processors means that we will probably start seeing the option to purchase paid apps pop up in more markets around the world. The reason for this limited international availability is not known, and Google has remained tight-lipped about slow international expansion of the Market’s Checkout service. A shift to provide a carrier billing option for Android users would certainly provide this list some much-needed additions (China, Russia, Thailand, Vietnam, Saudi Arabia, India, Pakistan, Israel). This would definitely cause developers to jump for joy, and would likely attract even more of them to Android. Speculation aside, this is certainly good news. Being an indemnified party provides you certain legal recourse or protection (often fiscal in nature) in a variety of contractual relationships, in this case a transaction. For example, let’s say you buy a hamburger from DroidBurger Inc. Said hamburger gives you horrific, gut-wrenching food poisoning. It turns out that DroidBurger received a shipment of tainted hamburger buns from their bun supplier, MoldyBuns & Co.
You sue DroidBurger, as they are the party directly responsible for your poisoning. However, DroidBurger has an agreement with MoldyBuns & Co in which DroidBurger is indemnified against lawsuits arising because of MoldyBuns & Co’s product. The indemnification agreement says MoldyBuns & Co has to compensate DroidBurger for all legal costs incurred by such a suit. Thereby, DroidBurger is financially protected (indemnified). In the context of the Android Market, if you can bill your app purchases to your carrier, it means your carrier becomes directly responsible for providing said app. You pay your carrier to receive a product (app). If that app causes your phone to spontaneously combust, permanently disfiguring your face, suing your carrier is a much more lucrative option for extracting compensation than suing Joe Java, who developed FaceExploder. As an indemnified party, though, your carrier can essentially make Joe’s life a living hell and garnish his income till the day he dies to cover the expenses of your lawsuit. Keep in mind, such an incident is extremely unlikely to occur, and would probably never make it to trial or settlement, as the carrier in this transaction is acting as little more than a vendor (you don’t see grocery stores getting sued for stocking poison dog food). A judge would probably direct you to sue the developer. Either way, big corporations demand this sort of protection in the event that the very unlikely occurs. This is the same sort of agreement which protects Google, and all developers must agree to it when putting their apps (free or otherwise) on the Market.